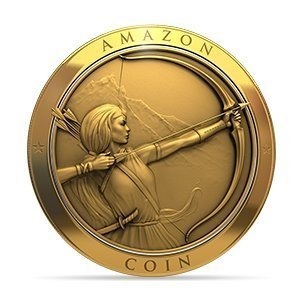 Amazon's Coins program, which basically trades real money for digital currency that can only be used on the Amazon Appstore, has become surprisingly popular. That probably has a lot to do with the massive amount of Coins that Amazon has given away in various promotions, but it doesn't hurt that the company recently integrated the Appstore with the rest of Amazon. 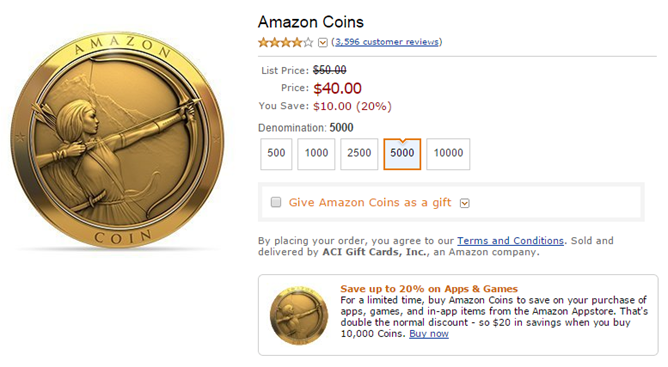 If you're digging Amazon's ecosystem, the retailer is offering discounts of up to 20% on Amazon Coins. 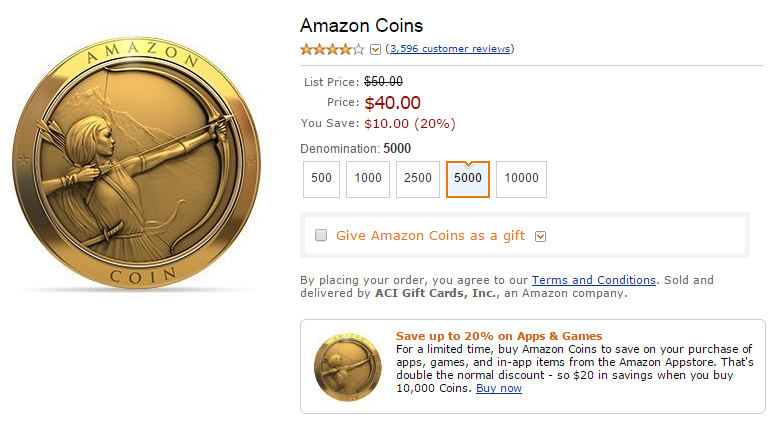 Coins come in packs starting at 500, with one coin being roughly equal to a US penny. You can grab 500 coins for $4.60 (8% off), 1000 for $9.00 (10% off), 2500 for $21.00 (16% off), 5000 for $40.00, or 10,000 for $80.00 (20% off). Add to that the fact that plenty of apps give you bonus coins for purchasing them, and you can get some really good deals on the Appstore. You've got until Monday, October 19th to take advantage of the discounts. Naturally this promotion is most relevant to those who use a Kindle Fire tablet or Amazon's Fire Phone, since even a moderate app downloader will eventually spend up to $40. But anyone who regularly buys apps or in-app purchases from Amazon's system could probably justify the discount at the higher tiers. Remember: Amazon Coins can't be redeemed for physical goods or non-app digital stuff like Kindle books, and you can't trade them back into "real" currency. It looks like this promotion is US-only for the time being.